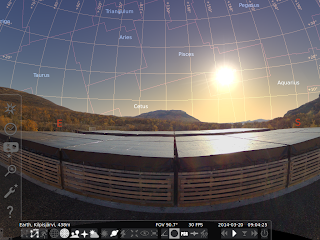 The desktop planetarium "stellarium" is a beautiful way to view the sky from any location and for any time. It also has the added feature of being able to add your own landscapes, thus giving correct horizon views. Quite some time ago we did this for the KAIRA High-Band Antenna (HBA) array. The result is an Autumnal view of the KAIRA site, from the mid-point of the HBA array. 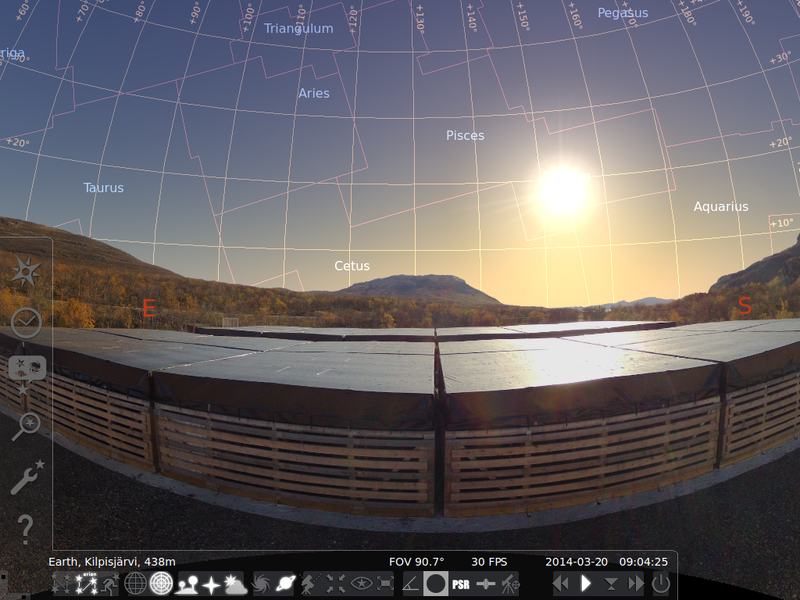 You can download the KAIRA HBA landscape (link) for your own version of Stellarium. We plan to create an LBA version sometime in the future.